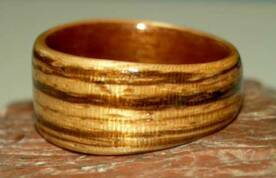 On the left ~ a Zebra Wood ring lined with Birds Eye Maple . 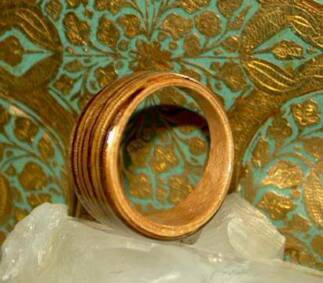 11mm wide, tapered. These black wood rings with reversed mahogany and greyed maple bands are lined with zebra wood.